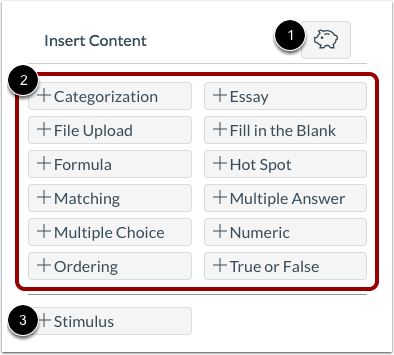 Admins and teachers can create an assessment with various types of assessment questions in Gauge. 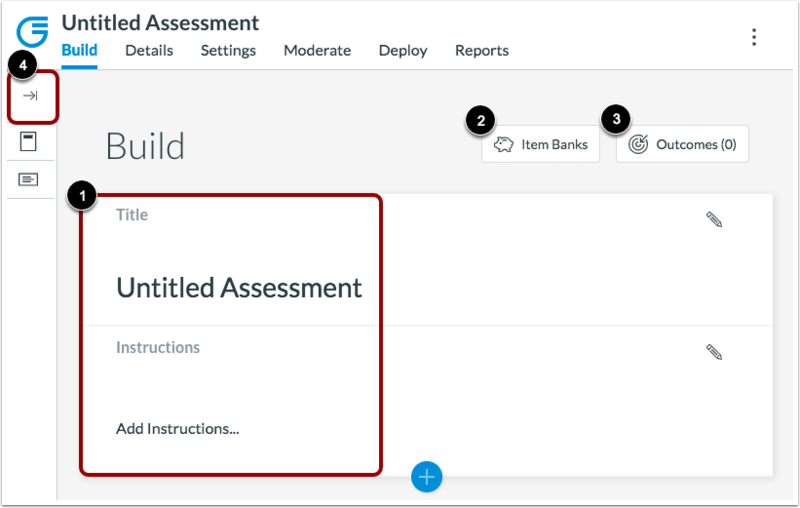 Admins can create assessments to deploy to specified groups of users who are in their institution. Teachers can create assessments to deploy to specified groups of students who are enrolled in courses they teach. Click the Add Assessment button. To add content to the assessment, click the Add button. 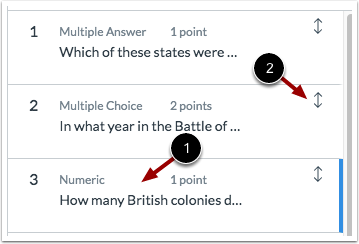 For each question, you can enter a question title , the question description , and answers . You may also select options specific to the question , align the question to an outcome , and add the new question to an item bank . 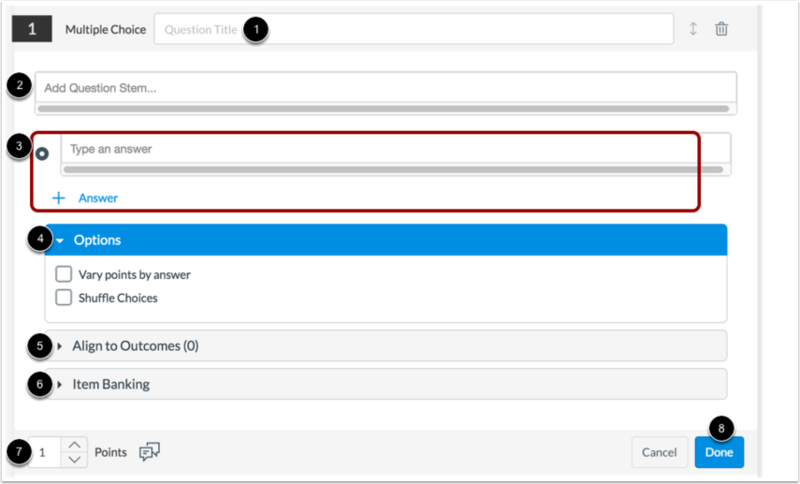 In the Points field , adjust the point value for the question by entering a number or clicking the arrow buttons. Essay questions do not include an answer field and must be graded manually. You can add feedback to a question by using the Feedback icon . Currently, this feedback is not visible to students. 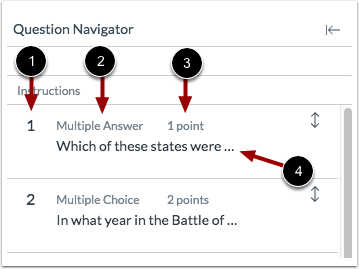 To open the Question Navigator and view an assessment, click the Expand icon. To view a question in the assessment, hover over and click the question . You will be taken to the question within the assessment. Previous Topic:How do I create a registered application in Gauge? Next Topic:How do I copy an assessment in Gauge? Table of Contents > Admins & Teachers > How do I create an assessment in Gauge?